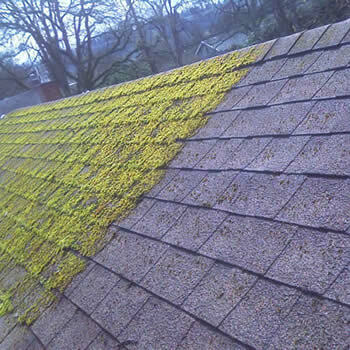 Roof cleaning and moss removal services are now available in Basingstoke, Farnborough and Aldershot in Hants. 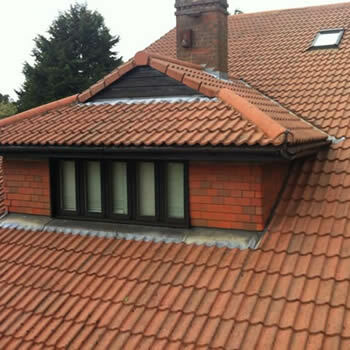 We provide FREE site visits and FREE quotes for all aspects of cleaning and maintaining roofs in this part of Hampshire. The housing stock across Hampshire varies considerably, from newer properties in Basingstoke to a larger number of older properties in Farnborough, Aldershot and Farnham. 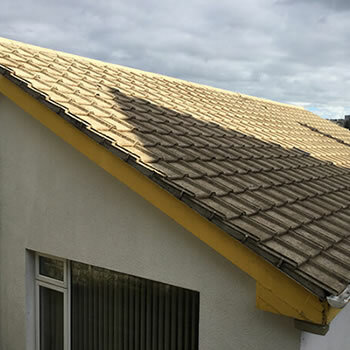 The demand for roof cleaning is high especially on the older properties that have roof tiles made from porous materials such as concrete or slate. 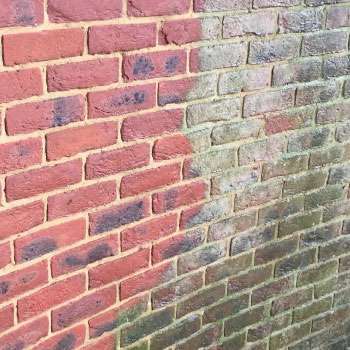 Pressure washing of roof tiles and moss removal by hand is offered by many companies in Hampshire but these can create uncertainty for homeowners when looking for a company to clean their roof. 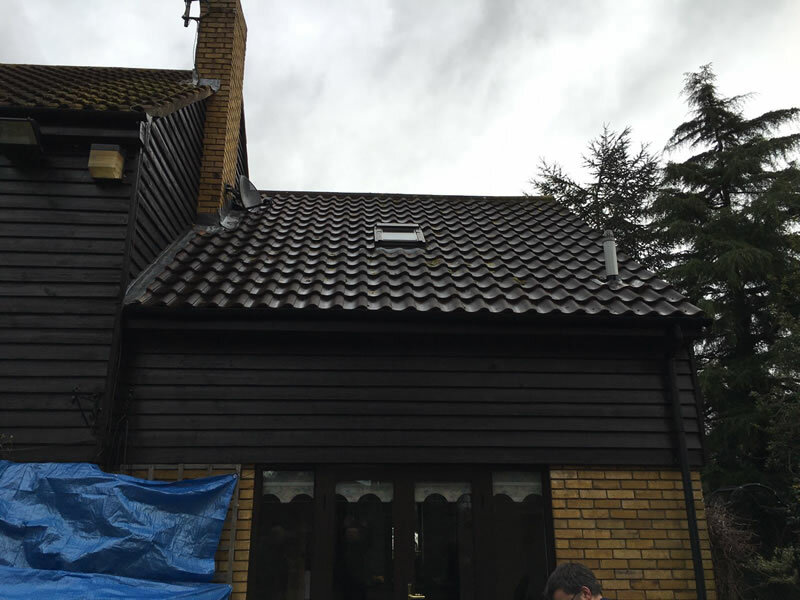 Both cleaning services rely on someone having to stand on the roof tiles which many homeowners are not happy about as they worry about potential damage arising. 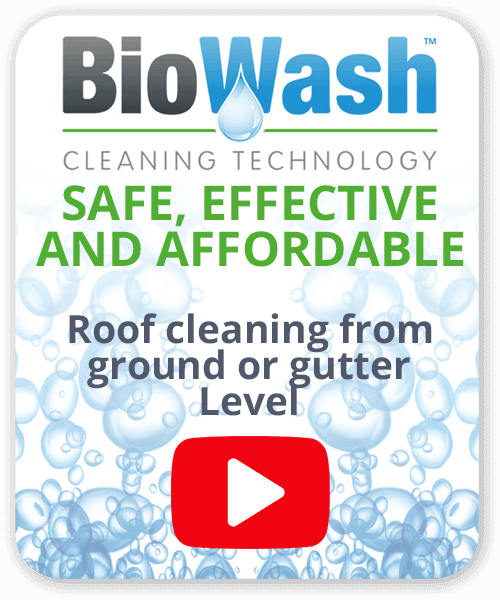 The Biowash™ non-pressure roof cleaning system is the proven way to clean your roof, without damaging the tiles. BioWash™ works by applying unique cleaning products onto your roof by means of a low pressure with our unique Delphin non pressure cleaning machine. Generally after just a few hours these products can simply be rinsed off with a soft wash that leaves your roof clean, often looking like new. 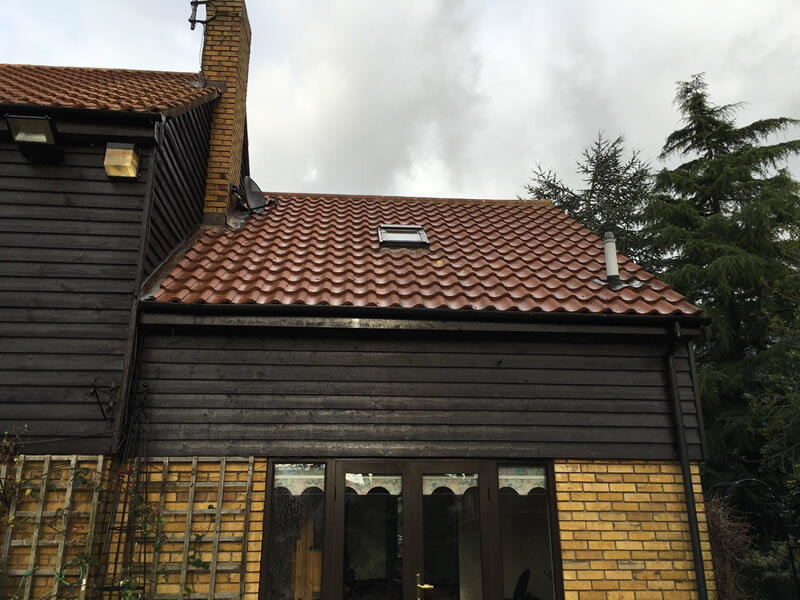 With a high percentage of aging roof tiles across Basingstoke homes can be badly affected by build-up of dirt, moss and algae on their roofs that have accumulated over many years. 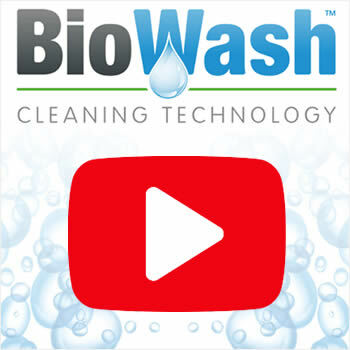 The Biowash™ agent for Basingstoke, will happily visit your home, explain the cleaning process and provide a free quotation. If you live in Basingstoke, Farnborough, Farnham or Aldershot you can request a FREE quote online or call us on 0800 849 9498 to find out more about how the BioWash™ soft approach to roof cleaning can benefit your home.